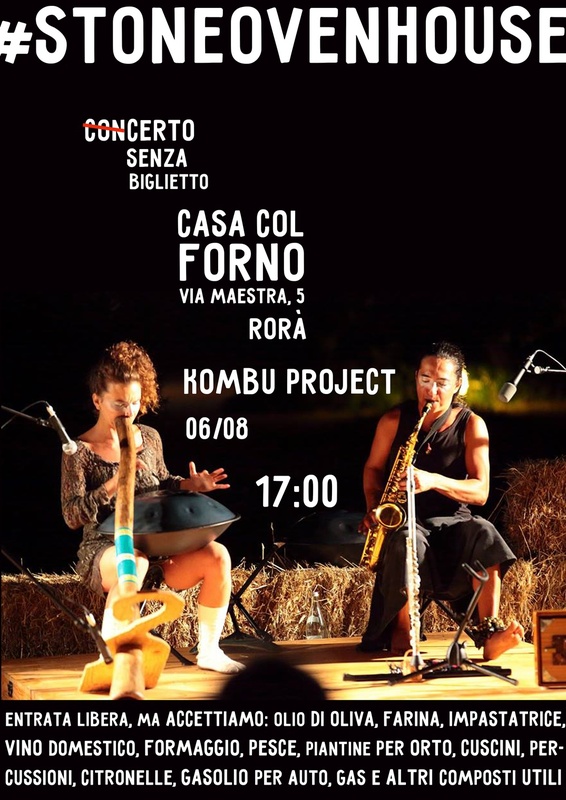 The Conc/certo Senza Biglietto at the Stone Oven House continue with the artistic-musical duo Kombu Project. Born in Madrid in 2013 and divides its origins between Spain, Italy and Japan. Tomoharu and Margherita intertwine the sounds of handpan, didgeridoo, saxophone, transverse flute, harmonic singing and shruti box, to create evocative music ranging between genres, driving an intimate and dreamlike journey from the acoustic trance, to the relaxing and meditative atmospheres to the nu-jazz and beyond ... 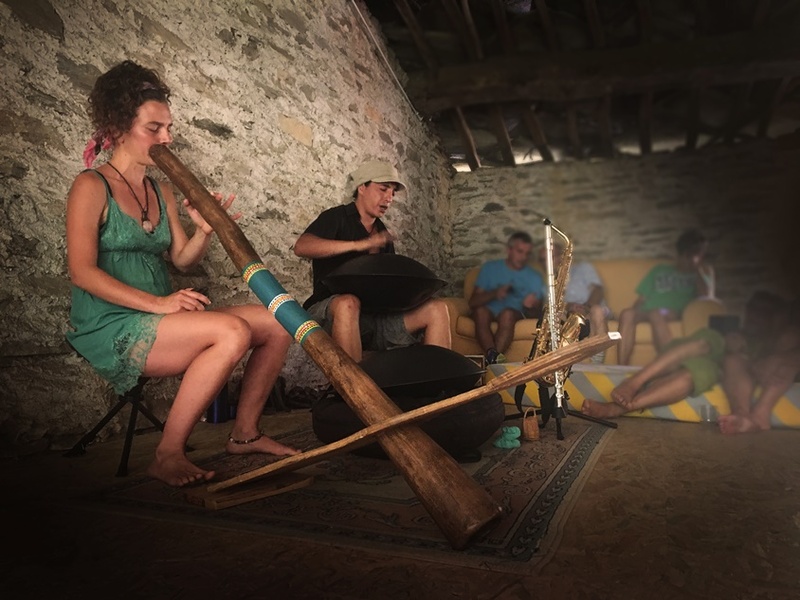 Together, they also enjoy searching and playing in the mix of dance, poetry and sound.